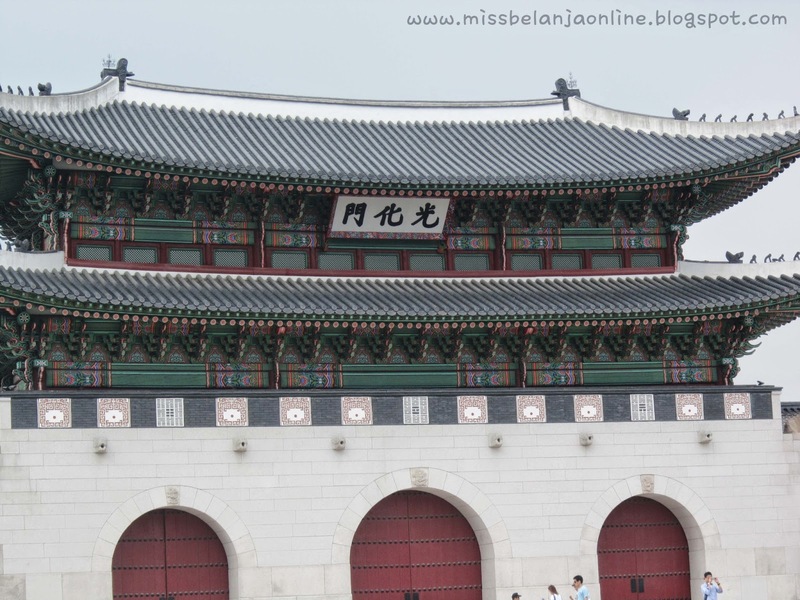 Hello~ here come the part 3 of my travel diary in Seoul. Now I will share my quick itinerary (and also the directions) with you. So, I used Subway / Metro / MRT a lot during my trip. I think it's the most cheap and quick transportation in Seoul *plus it is very easy to understand*. The first thing you need to prepare before boarding to Seoul is the Subway Map. If you're a traditional person who like to bring paper everywhere, try to print this map. 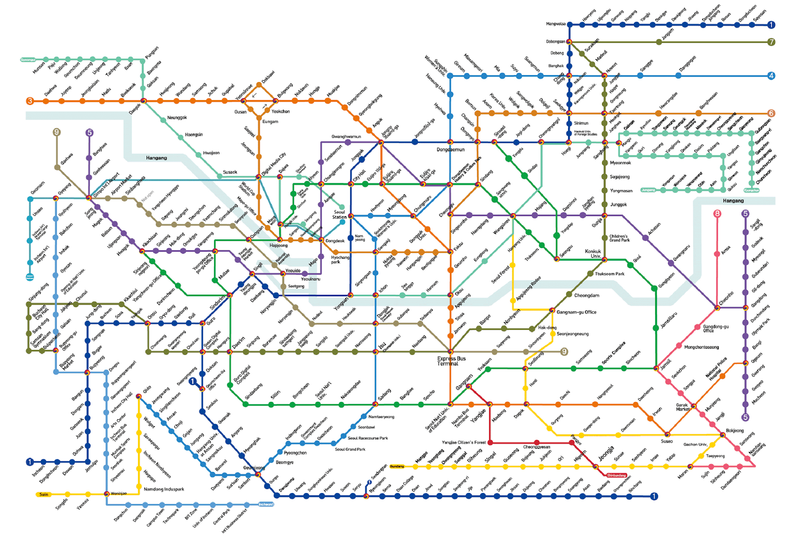 This is the full map of Seoul subway. It maybe looks crowded with so many colourful line, but once you read it, it isn't that hard to understand the line. Also not to forget the magic card~ T-Money. You can buy and reload this card at the nearest 7 eleven or at the station. Main Attractions: The University Building (make sure you visit here! ), Street Shopping (They have the best price). This area is shorten as Edae (and the information at the station also write Edae for this stop). Edae is on the line number 2 (the green line). To go to the university, go to exit 2 and walk straight until you can see the huge building in front of you. Edae Shopping street can be found through exit 1 or 2 (both exit are back to back, so you no need to worry if you exit the wrong number). Shopping at Edae is one of my favourite. 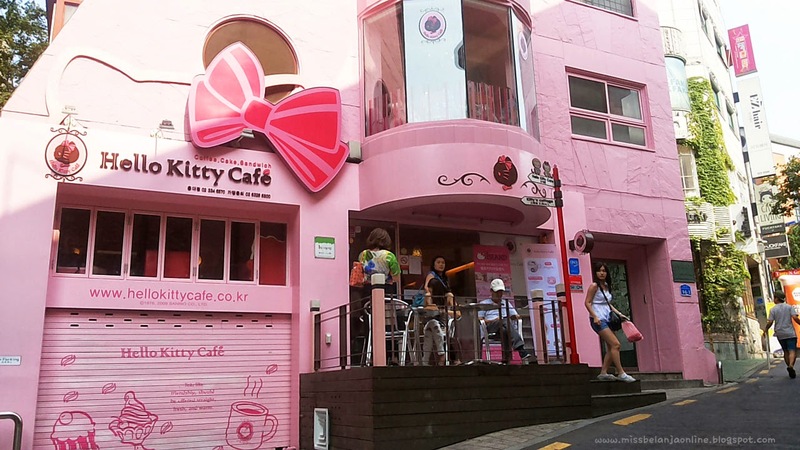 The price here is definetely cheaper than the other street like Hongdae and Myeongdong. Also this area is less crowded especially in the morning. 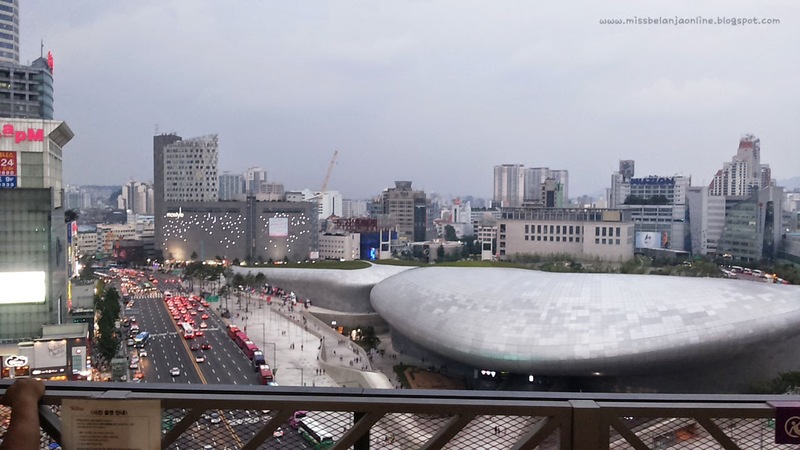 Trick Eyed Museum: Hongik University Station (Line 2, Green line) exit 9. 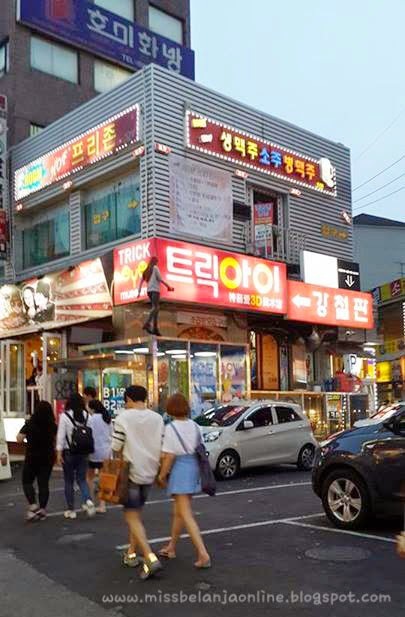 Go straight 150m, cross the road, and turn left to Hongik-ro Street. Go straight 120m and turn right down the second side street (in between Tony Moly and Holika Holika). Continue walk 100m and you will see the museum on your right. If you see the floating lady above you that means you're on the right place. though it's kinda creepy if you visit at the night. Hapjeong Station (Line 2, Green Line) exit 9. Once you walk out the station it will directly connect you to the mall. 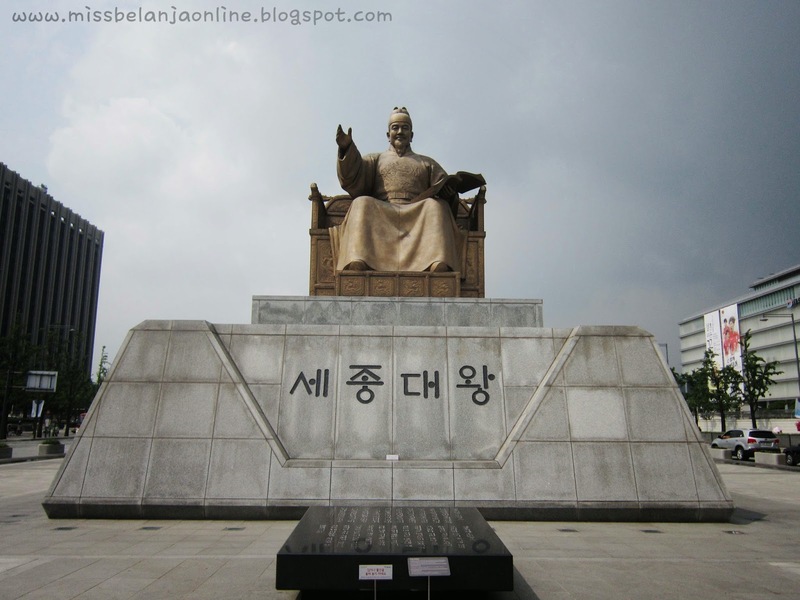 King Sejong Statue and Admiral Yi Suun Shin Statue: Gwanghwamun Station (Line 5, Purple Line) exit 2. The King sejong statue is right in front of you and the Admiral statue is behind you. 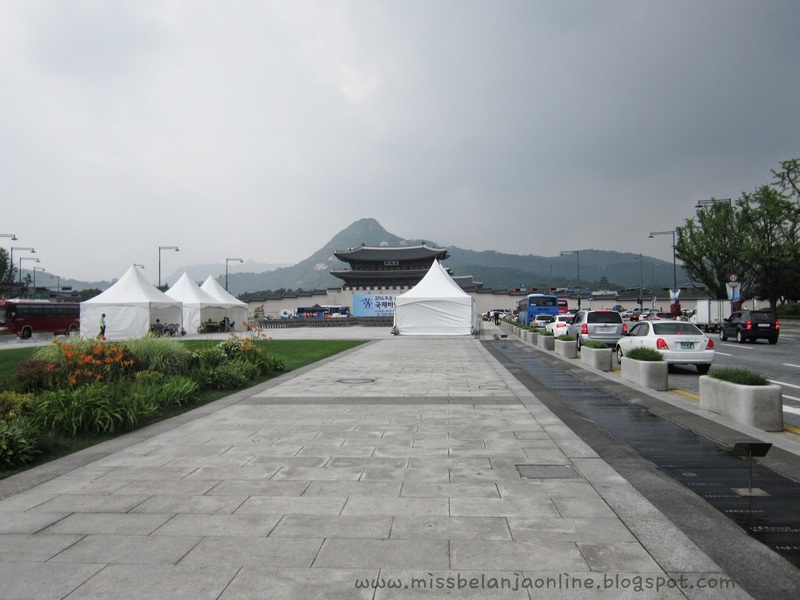 To go to Gyeongbokgung palace, simply walk straight to King Sejong statue direction and you will see the huge gwanghwamun gate in front of you (see the pictures). It is the door to enter the palace. If you are too lazy to walk, ride the subway to Gyeongbokgung Station (Line 3) exit 5 (inside the palace, so you don't need to walk). Myeongdong station (Line 4) Exit 6. 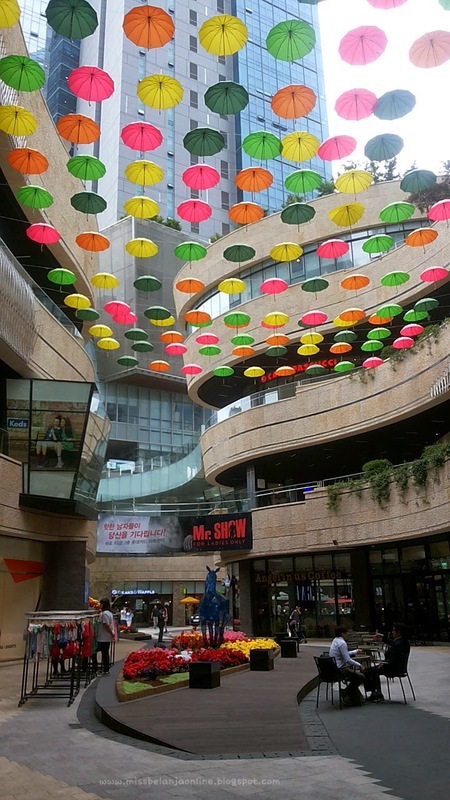 It is the main street of Myeongdong, you just need to walk straight to enter the heart of Myeongdong. Try to found M-plaza (around 200 m from the exit 6) and go to 4th floor, they provide free hanbok for foreigners. There are many departement store here such as Shinsegae, Lotte Dept.Store, Migliore, etc. and you can easily found it if you walk around. Hoehyeon Station (Line 4) Exit 5. This is the best place to buy souvenirs. You can bargain if you buy more than 1. Souvenirs here are cheaper than at Myeongdong and Insadong. 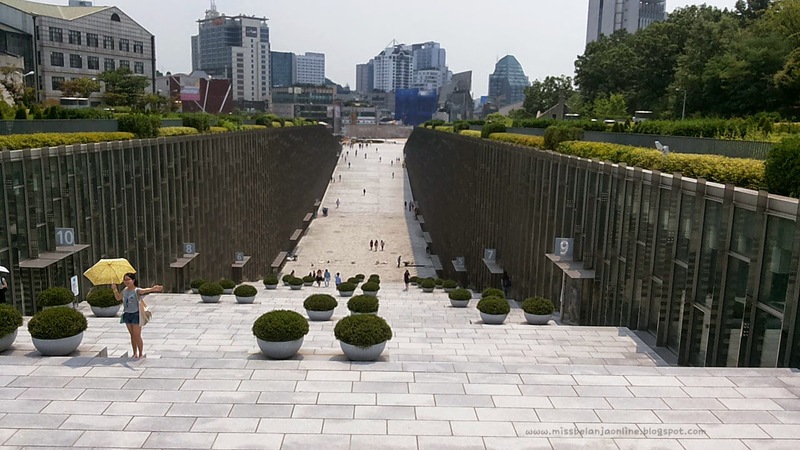 Dongdaemun History and Culture Park station (Line 2) exit 14. Lotte fittin is around this area too (you can easily see it once you walk out the station). To get to the Seoul tower you need to use cable car and to reach the cable car there are several way. My direction is using Glass Elevator to reach the cable car. Direction to the Glass Elevator: Myeongdong Station Exit 4, walk straight until you reach the junction in front of the Shinsegae Building. Then turn left and walk straight until you see the glass elevator. Take the glass elevator to the Namsan Cable Car. and the board the cable car to reach the tower. 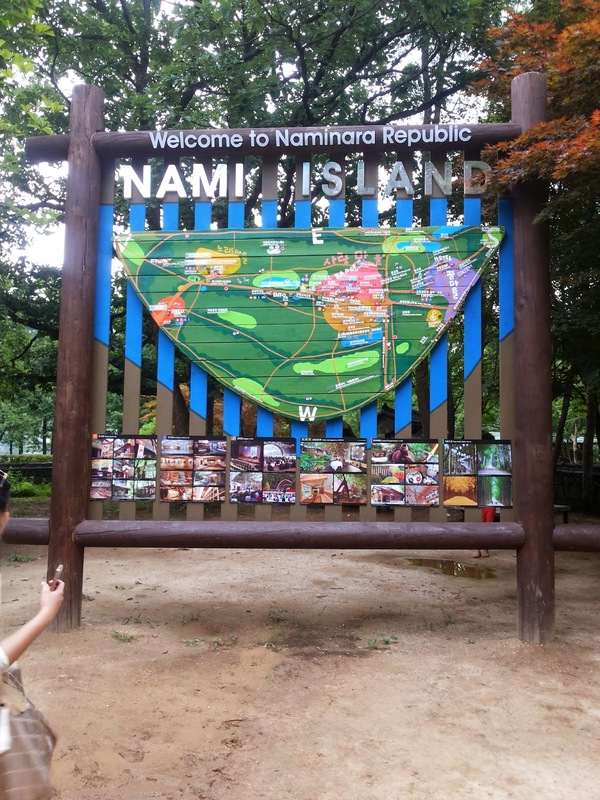 You can go to Nami Island (from Seoul) by shuttle bus or by subway. 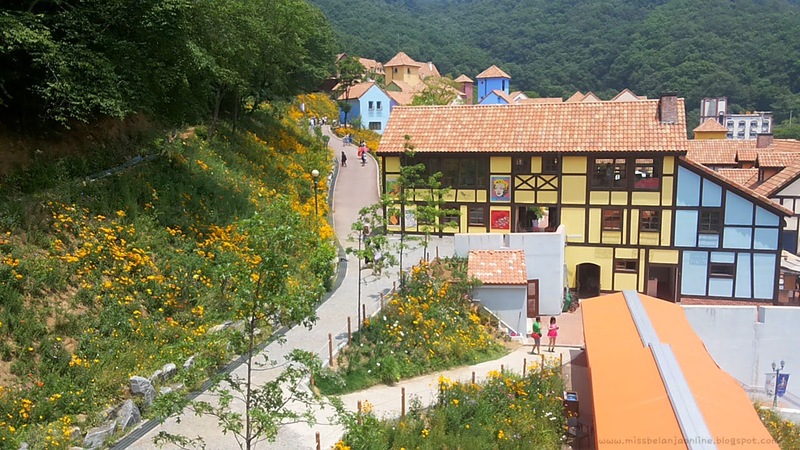 If you go by shuttle bus from Seoul, it will directly take you to Nami, but my friends and I want to stop at Petite France first so we decided to go there by subway. Go to Cheongpyeong station (Gyeongchun line) it's quite far far away on the right of the subway map and you maybe need several transfer :). Upon reach the station go to exit 2 and you will see the bus stop. Wait until the shuttle bus come. Make sure you ask first before take the bus because there are 2 different bus ( 1 that will directly take you to Nami Island and 1 that will go to Petite France). PS: keep the bus ticket because you will need it again to ride the bus to transfer to Nami Island and back to the station. To go home, board the shuttle bus again to Gapyeong station and then choose you're destination like usual (use the help of the program that I've mentioned above). Sindang Station (Line 2) exit 7. Walk straight until you reach Jungbu Fire Station and turn left. Most directions on Internet said to go out from exit 8 (Me too follow that instructions). But I think the right one is from exit 7. Because if you walk out from exit 8 you still need to make u-turn before walk straight. But if you walk from exit 7, you just need to walk straight. Flight: try to stalk Airasia website, usually they have a very nice promotion (Usually below IDR 5.000.000 for round trip). Also don't forget to calculate the fee for the visa, because we need that to enter the South Korea. The last time I applied for my visa, I need to pay IDR 600.000 for that with the help of travel agent (and maybe it is different in every country / city). Accomodation in Korea: Try to browse Hostel/Guesthouse through Agoda.com , it is more cheaper than hotel and if you come with many friends, I think guesthouse is the best solution for you. For hostel usually it will cost around IDR 250.000++ /night/person, while guesthouse usually cheaper than that (around IDR 125.000++ /night/ person). To travel around Seoul: Use subway/bus. Travel around using subway usually cost around 1.150won ++ (depends on how many times you should transfer). 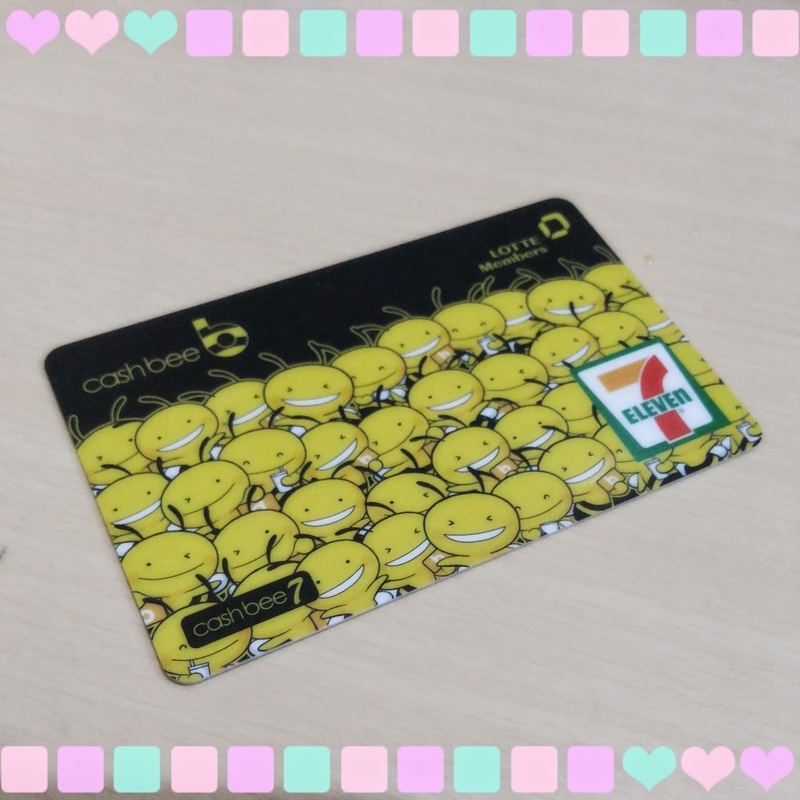 The T-money card cost around 3.000 won. To know the fixed cost: Browse the admission fee for every tourist attraction that you will visit before you go to South Korea. KTO is the best website to begin. KTO also offers discount coupons for tourists, make sure you print it before you go to Seoul. Food: If you want to save more money, you can eat at 7-eleven (they have food less than 1.000won and higher, such as ramyeon/triangle kimbap/banana milk,etc). If you eat at Restaurant usually the price is around 5.000-10.000 won (I suggest you share with your friends). 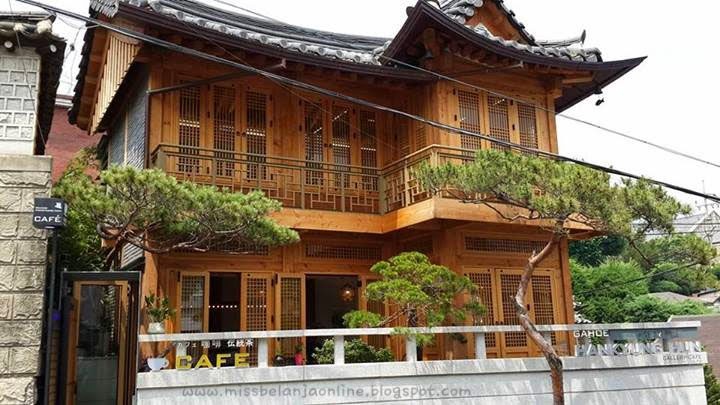 Guesthouse/hostel usually offer free breakfast like bread, coffe, and ramyeon.